This diamond necklace is the perfect accent for today's modern woman. 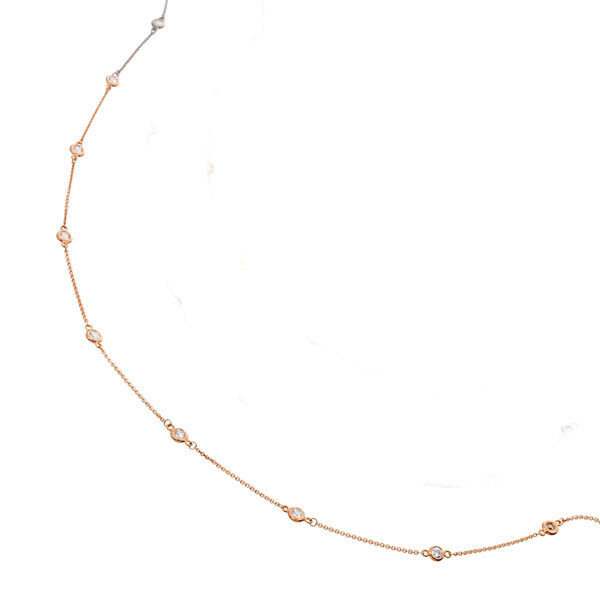 Crafted in 14kt rose gold, the Diamonds by the Yard piece has elegant bezel-set diamond stations on a chic chain. It's a necklace that's simple, yet makes a statement.